Short Communications should not exceed 1600 words and include no more than two tables or figures. They should have an abstract but no other divisions. Typescripts should be clearly marked Short Communication. 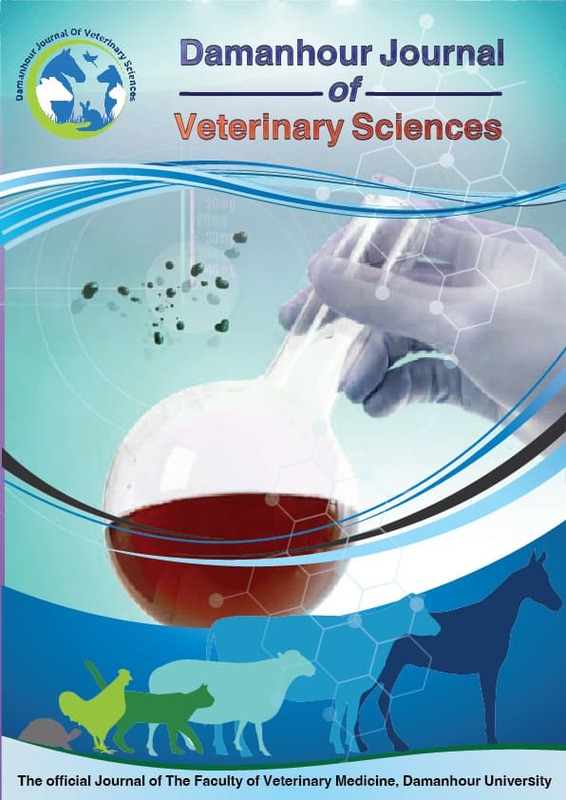 Review articles on veterinary topics are invited for publication. They should give an update on recent advances in a particular field and be targeted at research veterinarians who are not necessarily working in the same field. The length should not exceed 4000 words. Letters to the Editor offering comment or useful critique on material published in the journal are welcomed. The decision to publish submitted letters rests purely with the Editors-in-Chief. It is hoped that the publication of such letters will permit an exchange of views which will be of benefit to both the journal and its readers. Our online submission system (https://www.ejmanager.com/my/djvs/submit.php?lng=) guides you stepwise through the process of entering your article details and uploading your files. The system converts your article files to a single PDF file used in the peer-review process. Editable files (e.g., Word, LaTeX) are required to typeset your article for final publication. All correspondence, including notification of the Editor's decision and requests for revision, is sent by e-mail. • Author names and affiliations. Please clearly indicate the given name(s) and family name(s) of each author and check that all names are accurately spelled. You can add your name between parentheses in your own script behind the English transliteration. Present the authors' affiliation addresses (where the actual work was done) below the names. Indicate all affiliations with a lowercase superscript letter immediately after the author's name and in front of the appropriate address. Provide the full postal address of each affiliation, including the country name and, if available, the e-mail address of each author. Abstract, self-contained and embodying the main conclusions. It should note the relevance to veterinary science as well as the aims and objectives of the work. Sentences such as 'the results are discussed', which merely describe the paper, are not allowed. Please submit tables as editable text and not as images. Please ensure each table is submitted as a separate file. Number tables consecutively in accordance with their appearance in the text and place any table notes below the table body. Be sparing in the use of tables and ensure that the data presented in them do not duplicate results described elsewhere in the article. Please avoid using vertical rules and shading in table cells. 4.Please ensure each table is submitted as a separate file. Tables should never be included in the text. Manuscripts should have numbered lines, with wide margins and double spacing, throughout, i.e. also for abstracts, footnotes and references. Every page of the manuscripts, including the tile page, references, tables, etc., should be numbered. However, in the text no reference should be made to page numbers; if necessary one may refer to sections. Avoid excessive usage of italics to emphasize part of the text. Authors are asked to explain each scientific abbreviation at it first occurrence in their papers; for example, complement fixations test (CFT). The policy of the journal with respect to units and symbols is that SI (System International) symbols should be used. 1. Authors and Editors are, by general agreement, obliged to accept the rules governing biological nomenclature, as laid down in the International Code of Botanical Nomenclature, the International Code of Nomenclature of Bacteria, and the International Code of Zoological Nomenclature. Virologists should consult the latest Report of the International Committee on Taxonomy of Viruses for proper nomenclature and spelling. 1. Give the meaning of all symbols immediately after the equation in which they are first used. 2. For simple fractions use the solidus (/) instead of a horizontal line. 3. Equations should be numbered serially at the right-hand side in parentheses. In general only equations explicitly referred to in the text need be numbered. 4. The use of fractional powers instead of root signs is recommended. Powers of e are often more conveniently denoted by exp. 5. In chemical formulae, valence of ions should be given as, e.g. Ca2+ , not as Ca++. 6. Isotope numbers should precede the symbols, e.g. 18O. 7. The repeated writing of chemical formulae in the text is to be avoided where reasonably possible; instead, the name of the compound should be given in full. Exceptions may be made in the case of a very long name occurring very frequently or in the case of a compound being described as the end product of a gravimetric determination (e.g. phosphate as P2O5). Foster, N., Berndt, A., Lalmanach, A.C., Methner, U., Pasquali, P., Rychlik, I., Velge, P., Zhou, X., Barrow, P., 2012. Emergency and therapeutic vaccination–is stimulating innate immunity an option? Res. Vet. Sci. 93, 7–12. The article (10 pages) cost 550 EGP including online publishing, an extra 20 EGP for each additional page, and 30 EGP for each colored page. The article (10 pages) will cost 100 USD for the black-and-white pages, an extra 10 USD for each additional page and 20 USD for the colorful pages. - By direct pay to the editorial office of the journal at the Faculty of Veterinary Medicine, Damanhour University, Egypt. - Western Union and Bank transfer are also avaialble.